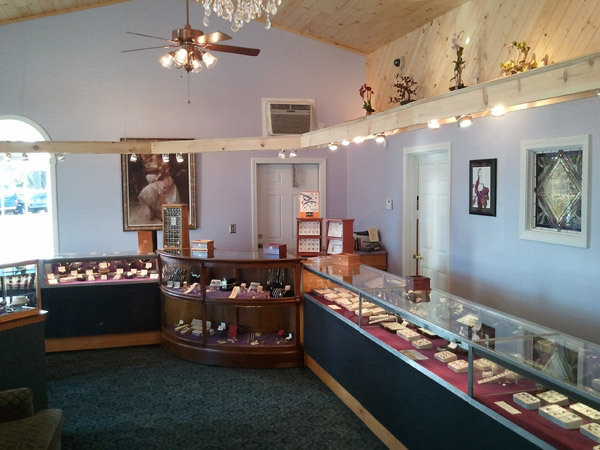 Creaser Jewelers is owned and operated by Dennis and Julie Creaser. It was founded in spring of 1999. Before this, the company (known as Intergalactic Mining Corp.) was operated out of our basement as a wholesale jewelry and Maine gemstone supplier to many of Maine's leading jewelry stores. In the winter of 1999, an opportunity to rent a Main Street store space in South Paris presented itself and we jumped at the chance. The building which originally housed our first store was a renovated barn of one of Paris's historic buildings. With several months of help from our friends and associates we gutted the building back to its support beams and gradually, on a shoe string budget converted the dark worn interior of a dusty ex-barn to a bright, elegant, modern jewelry store. Thirteen years later, despite numerous renovations, we outgrew this space. Seizing upon a circumstantial opportunity we purchased a vacant lot (formerly the location of Earnie's car wash) and built our custom jewelry store. We used an open concept, cathedral ceiling, tongue and groove pine for our showroom. We kept the arch and color theme from our first store which our customers had grown to love. We also included in our building design, a special mineral room, which also showcases our private collection of unique mineral specimens and local mining and jewelry memorabilia. This museum features some of the best material currently on public display. It is our goal for our store to be a multi-generational, enduring, growing Maine company. We are convinced that the only way for this to happen is to be the store that people like the most, consistently and continually. Using our own experience as consumers as a guide, we believe that there are a number of factors which make a company a favorite and they include service, quality and selection. Too often, we see substandard gemstones carelessly thrown into any old mounting and called "fine jewelry". We at Creaser Jewelers believe that "Fine" means more than that. To us, "fine" means that someone has taken the time and effort to select one beautiful gemstone from hundreds or thousands and match it with a setting or design that is perfectly complimentary. And that is exactly what we do here. 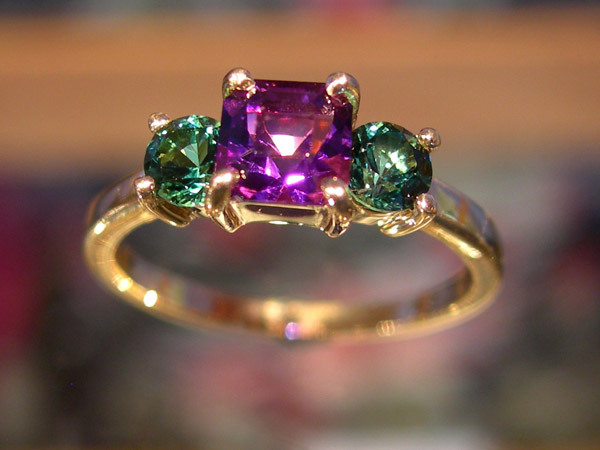 We will even alter the design of the setting and recut the gemstone if necessary. It is our intention to present you with a superior piece of jewelry that will provide many carefree years of enjoyment. We have certain rules regarding the quality of our merchandise. Our jewelry must be well constructed and well designed. Gemstones must be properly faceted, proportioned and polished. Gemstones must also be as inclusion-free as possible. Our goal is to provide only the very best quality jewelry. A note regarding synthetics: we personally do not consider synthetic gemstones to be acceptable in our trade. To us, they cheat, plain and simple. We believe that synthetics (aka "created", "man-made", "lab-grown") mislead the consumer and devaluate genuine gemstones. For this reason, we do not stock them, although special order them upon request. We at Creaser Jewelers have a special passion for Native Gemstones. We have been an intimate part of the Maine gem mining scene for almost three decades. In 1993, we were directly involved with the famous "4th of July" Amethyst pocket on Deer Hill in Stow, Maine. This historic find was one of the most important Maine gemstone events in modern history and resulted in an unequaled selection of velvety Maine Amethysts in all shades of purple which is available to you from our extensive collection. We have also been involved in gem mining operations producing Aquamarine from Stoneham and Topsham, multicolored Tourmaline from Georgetown and have a close relationship with the new owners of the world famous Mount Mica tourmaline mine as well as owners of other local mines. Maine produces some of the best quality jewels in the world. Our collection of beautifully cut, vibrantly colored, native Maine gemstones numbers in the thousands and we offer all sizes and prices. At Creaser Jewelers, we take a particular pleasure in offering a large selection of excitingly different gemstone choices as well as traditional ones. Our gemstone palette is one of the best in New England and we constantly strive to bring you an even greater selection. Of equal importance is our "no synthetics" policy. 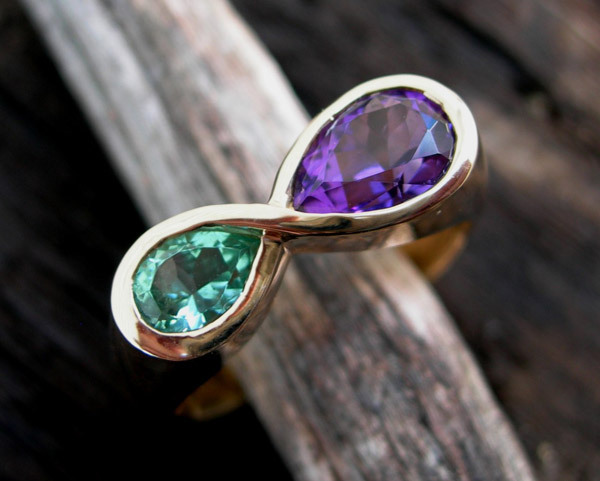 All of our gemstones are natural. As consumers, we always find ourselves shopping at stores which offer the largest and most varied selection. Logically, one can expect to have a better chance finding what they are looking for if there are numerous similar items to choose from. We enjoy a large selection, we assume you do too. Therefore, we go to extreme measures to provide our customers with the largest possible selection of fine quality gemstone jewelry. 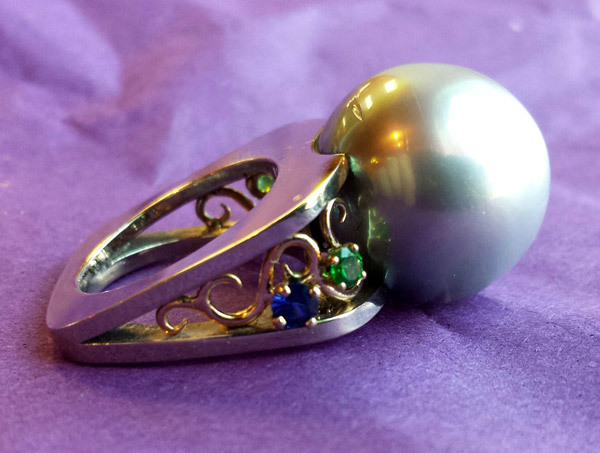 Do you have a notion in mind for a unique piece of jewelry? We can turn your idea into an affordable reality. Or just sit back if you'd like and let us design something special – only for you. 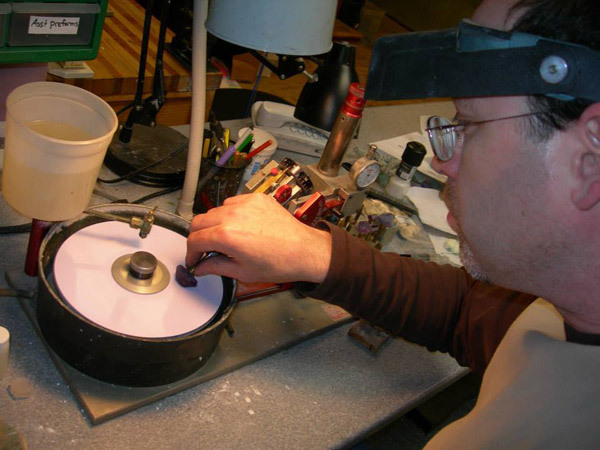 At Creaser Jewelers, we have a comprehensive design studio and creation workshop. From full gemcutting capabilities to a complete metal casting facility, virtually anything is an option. Our Jeweler has both formal training and freestyle improvisational experience enabling us to design in practically every style from Victorian to Modern Contemporary and all work is done in-house. Traditional? Sentimental? Whimsical? No problem. Chances are if we can't do it, no one can. Our repair services are extensive and competent. 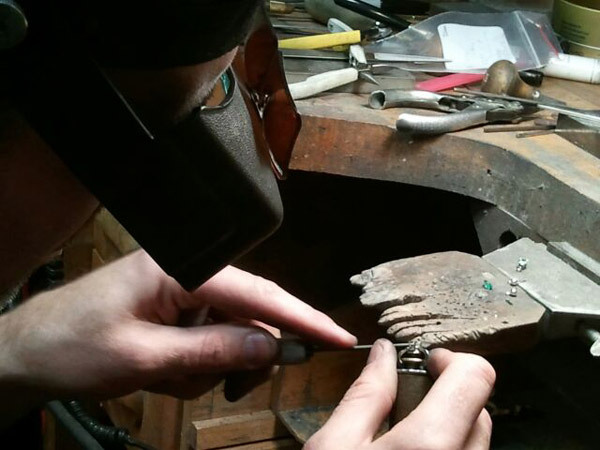 Our Jeweler is a fully-qualified goldsmith as well as a designer and we are confident in our claim to be able to fix virtually anything whether it is a family heirloom or simply a sentimental keepsake. And all of our repair is done at our store in our fully equipped studio. Simply speaking, we don't want to be just your jeweler. We also want to be someone you can trust, someone you can depend on, someone you can confide in, someone you can feel comfortable with. We like doing business with people who always treat us like we are more than just customers and we assume that our customers feel the same way. You are special to us and we promise to treat you accordingly.